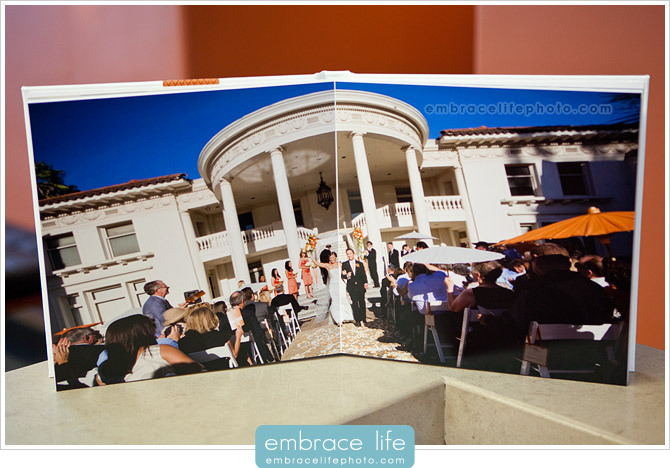 For this sample album from Kristen and Boaz’s wedding in Pasadena, CA, we wanted to inspire our clients to compliment their weddings with an album designed to showcase the unique aspects of their wedding. 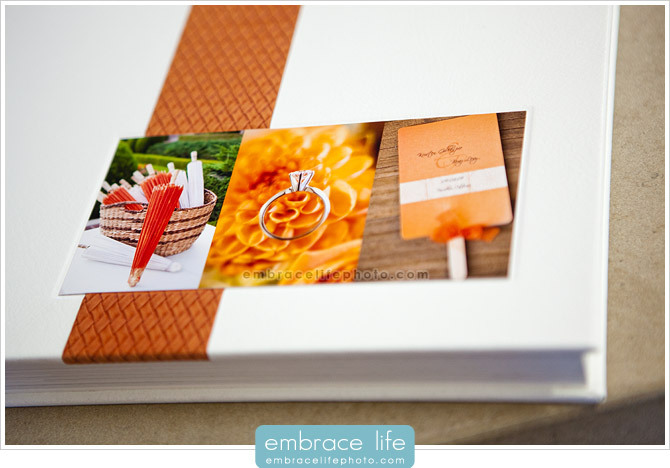 One of the reasons their wedding was featured by The Knot and The Wedding Yentas is the great use of the color orange throughout the wedding. 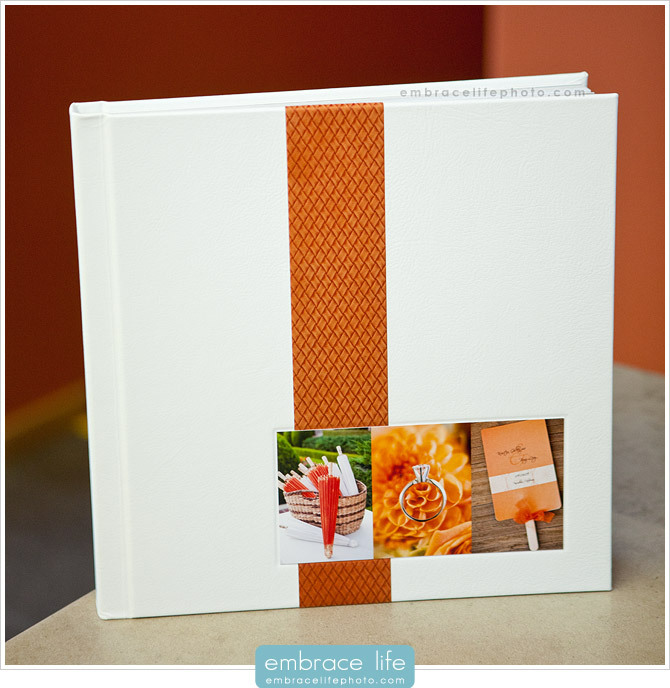 What better than a bright white leather with an orange weave fabric stripe to wrap their amazing images in? 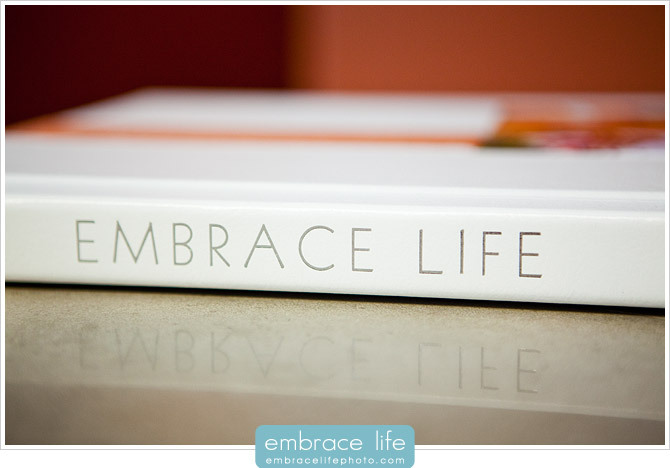 Digitally designed layouts that are then printed photographically and mounted to archival boards that give the pages rigidity and thickness. Images and/or collages that “span the gutter” and occupy the left and right pages of a two-page spread. The part the crosses the gutter can be folded for a completely seamless look or split for arguably better longevity. 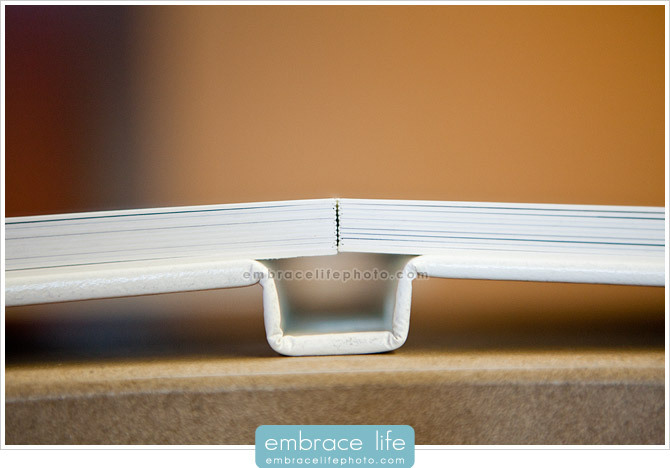 Lay-flat binding with no part of a two-page image lost in a curved gutter or separated by a large space. 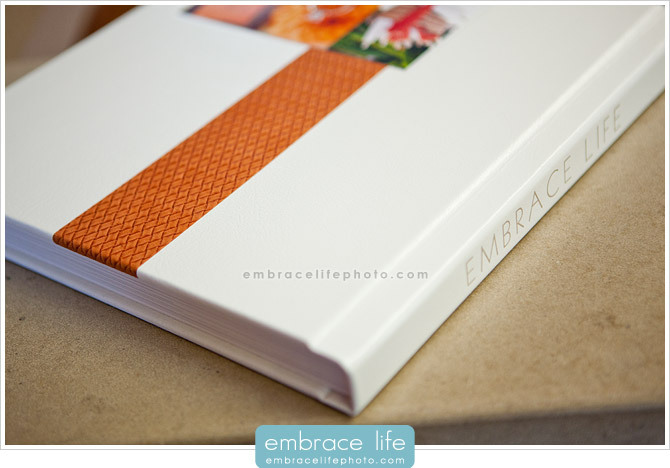 Highly-customizable covers with fine leather and fabric choices, multiple font styles and color choices for an opportunity to design something that truly suits your wedding and compliments your style. 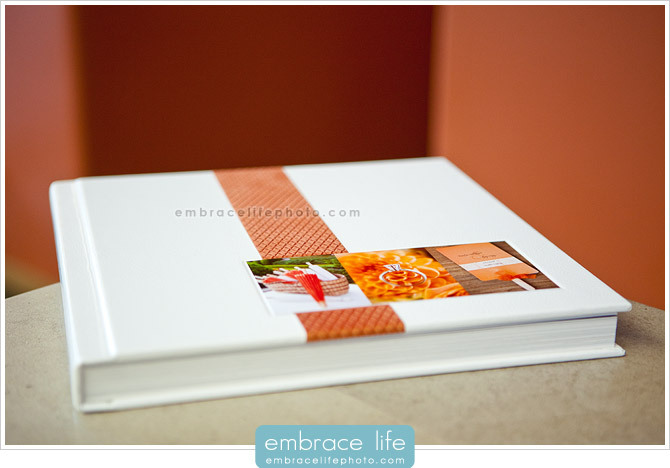 We also offer other, hand crafted wedding albums as well. Hi, i absolutely LOVE this album.